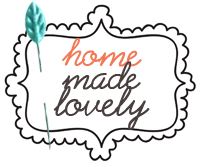 Little Bit Funky: house tour a la home made lovely. house tour a la home made lovely. How fun! Can't wait to check it out. Blessings to you. I follow both of your blogs! I can't wait to pop over there! This is too funny...I've had my computer open to your Dec '09 mantel as I'm copying your cardboard houses these past couple days!! I've been meaning to do it for 2 years! I'd love to show you the pic of it as my boys "added" to it with their art! Anyways, love your home. How did you make your curtains? Are they sheets with added material at top? May I steal that idea too?? 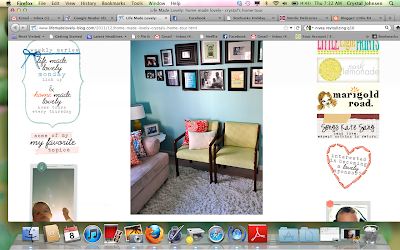 Too funny - I have had your blog open on my computer the past few days "copying" your mantel village you made in '09!! Love it!! I'd love to send you a pic! Love your home. Very fun. How did you make your curtains? Is it just a sheet with fabric at the top? Love them!! !